Appathon 2016: And The Winner Is…. Congratulations to Team Appid Fire, from Harvard University, on becoming the $10,000 winner of the first-ever Great Mobile Appathon! The Great Mobile Appathon was launched in September of this year and held at select universities throughout the United States. This first-of-its-kind competition challenged students to create innovative mobile apps that would enhance campus life at their college or university. Student teams submitted concept proposals, and select teams were invited to participate in a weekend-long event to actually create their apps using Modo Labs’ Campus Engagement Platform. The Modo platform was developed so that anyone, even those with no coding or technical skills, can create awesome mobile apps—in this case, students from across the university. Each of the five participating universities selected first and second place winners, who received $3000 and $1500 cash prizes, respectively. The first place teams were then invited to participate in the National competition, pitting the winners of each school against one another. Teams submitted video promotions of their apps, and each app was reviewed by a panel of judges. The winning team was announced live at the EDUCAUSE Annual Conference on October 27, with each of the participating teams and school hosts dialing in for a live video call. You can learn more about the winning team and their app below. 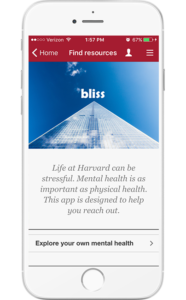 Bliss is an app focused on connecting students to mental health resources and destigmatizing mental health issues. The app allows you to explore mental health resources by concern, send inspirational messages to friends, and learn how to become more involved on campus. It was a close contest with all of the students creating amazing apps. Learn more about the other finalists and their apps below. 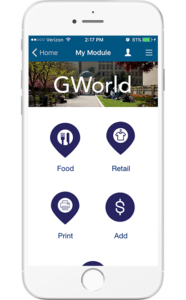 GWorld shows students all of the locations on campus and nearby where they can use their GWorld payment card. Many students were unaware of the number of places their card was accepted, especially for off-campus food options. This app not only lists accepting locations, but shows students show to navigate there as well. GWU Modo Labs Appathon 2016 THE MEGABYTES from D Morrison on Vimeo. 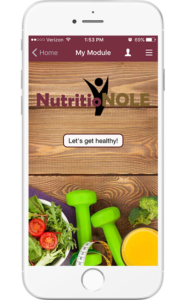 NutritioNOLE gives students access to healthy resources on campus. It includes information like healthier food options and where to find them, the gym schedule, suggestions for daily workouts, and ways to connect with health-oriented communities on campus. 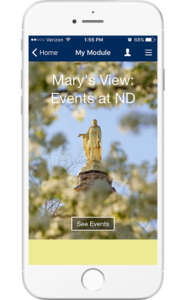 Mary’s View gives students an in-depth look at all of the many events and activities taking place around campus. Students can use a map to browse events by location, marked by red pins, as well as browse events by category such as Athletic Events or Community Service events. ASU Fit encourages students to get moving. 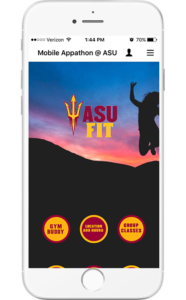 The app lists gym locations and hours, group class schedules, and information about intramural activities. The app also includes a gym buddy matchmaker where you can enter your gender, workout intensity, type of workout you’d like to meet up for, and days that you’re available. Congratulations to all of the students who participated! It took many dedicated individuals to make this event a reality.